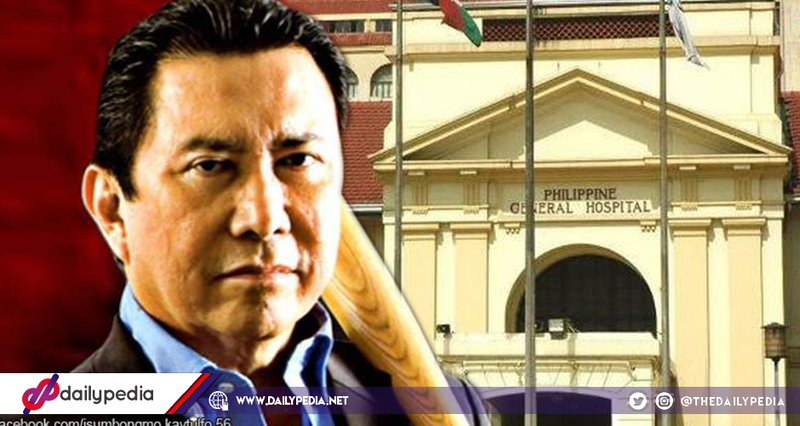 It has been weeks since columnist and radio broadcaster Ramon Tulfo was involved in a controversy where his driver had hit a child, and Tulfo brought the child to the Philippine General Hospital (PGH) where he was disappointed with the service and insulted the doctor who was handling the child. All of it was caught on video which Tulfo shot himself and posted on Facebook. 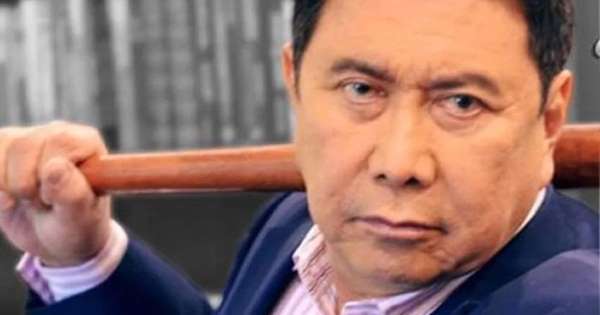 Since then, Tulfo has been experiencing a backlash where people have insulted Tulfo as well and are angry of his behavior at the hospital. 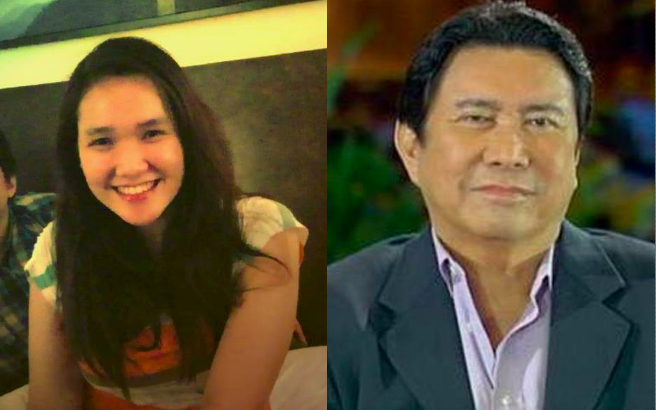 One of these people is Regina Estrada who wrote an open letter to Tulfo, schooling him on his unacceptable behavior. Estrada is also a doctor who explained how she was used to people like Tulfo who liked to complain about the service they receive, not knowing that most of the time, these doctors are handling many patients at once and are also in a lot of pressure and stress in the hospital. She then goes on to explain to Tulfo the problems that the Philippine healthcare system is suffering from. She says that one of these problems is that not all hospitals in the Philippines perform at the same level and that this is something that the government should take into account. More than that, most people who need the healthcare cannot even afford it. Another is that Estrada explained to Tulfo that the triage system is not a first come first serve system, rather that it is an “us all” philosophy that allows doctors to properly monitor their patients and save those that needs the most saving. More than that, Estrada says that all Tulfo’s complaining is not actually helping anything, and in fact, contributing even more to the bad situation the Philippine healthcare system is already in. I am writing to you as a member of the Philippine healthcare community, regarding your incident at the Philippine General Hospital. Trust me, your tirade was not uncommon. When I was there, I experienced so many patients and bantays berating me for not attending to them first. And I wanted badly to explain to them why I could not, because I had another patient going into cardiac arrest, or another whose blood pressure I couldn't get to normalize. I had no time. There were just too many patients. There were times I could not smile because earlier I had just lost a patient. There were times I could not show "empathy on my face" because I had to think about what to do next. I had to be strong for the family who was counting on me to make it better. You see? We understand the families of our patients, the tirades directed at us. We can take it, as we always do. We just can't afford to engage. But now, because you have brought this to national attention, we will engage you and your following. So maybe, we can bring to light the problems of our healthcare system, and educate the Filipinos along the way. (1) You say you think PGH has the best trauma system in the Philippines. Sure. But why should it be that you don't trust other hospitals to afford the same care? Should it not be that all hospitals are equipped the same? Immediate care means immediate care. Five minutes is still better than fifteen minutes. (2) You say the No Video Recording policy is "out of place." But it isn't. Being a person of the media, I understand that a video is your best weapon. But it isn't for our patients. The policy protects them from the scrutiny of being at their most vulnerable. It protects all of our patients from suffering from a media storm such as this. This policy is our duty and is non-negotiable. (3) The triage system is not of a "me first" policy. It is an "us all" philosophy. The triage system should not benefit just one. We cannot afford to have a person experiencing a stroke wait. You see, with so few resources, we make do with what we have. (4) The Philippine healthcare system is far from ideal. It is as frustrating to you as it is to us. The fact that patients have to travel from all corners of the country just to access healthcare, the fact that the poor have to borrow money to afford necessary medications and surgeries, the fact that cancer patients turn to quacks for magical "cure alls". There is a bigger problem than you or me. You see, you shaming us and us bashing you will do no real good. The system will remain as helpess as it is if it is all lip service. But you say you have a direct line to Malacañang. Thus, I challenge you to put your money where your mouth is. Pull strings and have Congress increase the budget for health, allot more healthcare workers to the workforce, make medicines more accessible, bring permanent medical services to the underserved. Maybe you can be the catalyst that finally gets these into motion. Now, let me make this clear, I am not writing this to "bash" you. Because, frankly, we don't care about you or besmirching your reputation. What we care about is your clout and how Filipinos will think it acceptable to disrupt our processes. This, this is an invitation to rational discourse, as you say. A challenge to the strongmen/ strongwomen that have gained power in the country these past few years: Listen to the people, join us and help us better this system. Serve the people.